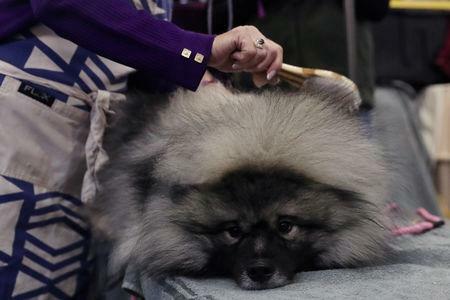 NEW YORK (Reuters) - A longhaired dachshund, a Havanese, a schipperke and a bouvier des Flandres triumphed at Monday's group competitions at the 143nd annual Westminster Kennel Club Dog Show in the lead-up to the big day - competition for Best in Show. 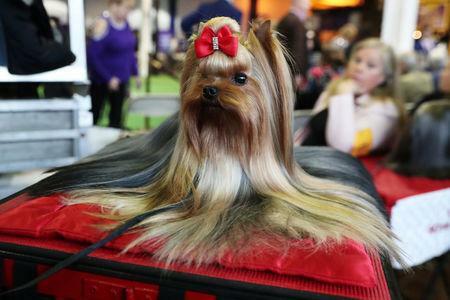 Almost 3,000 high-pedigree dogs were groomed for victory this year in the most prestigious title in the rarefied world of dog breeding. The two-day event at Madison Square Garden drew challengers from all 50 U.S. states and 14 other countries, including Russia, Mexico, Brazil, Canada and Japan. Dogs are divided into seven groups: hounds, toys, non-sporting, herding, working, sporting and terrier. The dogs that emerge victorious from each of the groups then vie for the Best in Show trophy on Tuesday. Burns, a longhaired dachshund, won the hound group on Monday. His handler, Carlos Puig, showed the dog's great-grandfather 21 years ago, who was the first and only long-haired dachshund to win the group in 1998. Judge Patricia Craige Trotter, asked what she liked about the hounds group winner, said: "What's not to like?" Puig said Burns will retire after tomorrow's challenge and that winning the group was "the icing on the cake." Burns, one of this and last year’s biggest crowd-pleasers, will spend his days in retirement doing therapy work with his owner in Louisiana. A schipperke named Colton scored another surprise win in the non-sporting group, beating long-time favourites such as the common poodle and the bichon frise. Six-year-old Colton dazzled the crowd with his thick coat of black hair and cheeky grin. "It’s his favourite thing in the world, showing," said Christa Cook, who showed him in the Madison Square Garden ring. "He just turns it on and all I have to do is walk him around." Asked how they would celebrate, Cook said emphatically: "We’ll sleep!" Bono, a Havanese, and Baby Lars, a bouvier des Flandres, won the toy and herding contests, respectively. Dogs from the sporting, working and terrier groups will compete on Tuesday night, with the three winners joining Monday's finalists in the competition for top prize. Flynn, a fluffy bichon frise from Michigan, took home the Best in Show trophy at last year's competition. 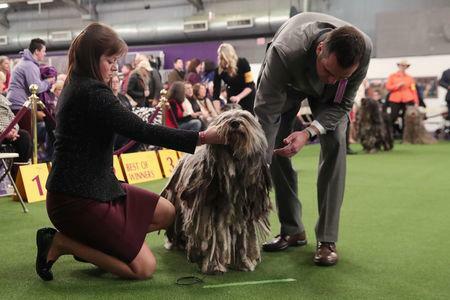 The Westminster Kennel Club's contest is the second-oldest U.S. sporting event, behind only the Kentucky Derby horse race.